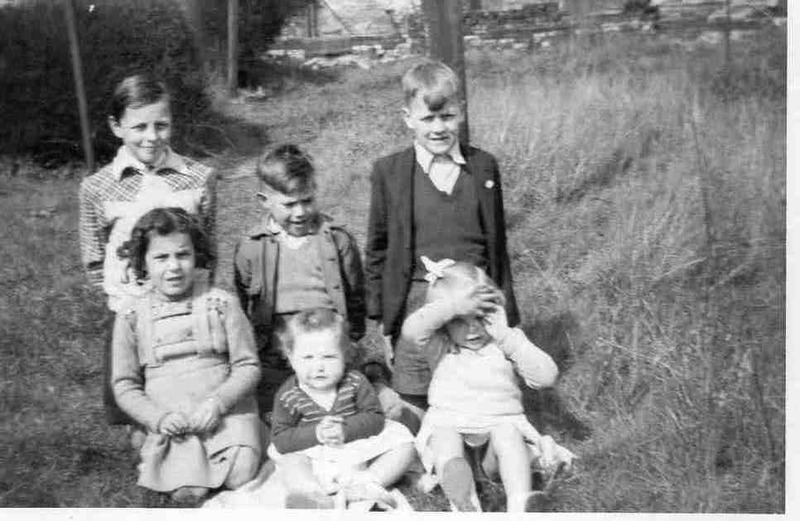 Killamarsh children in 1954. Back row – Brian Thompson, John Smith, John Richards. Front row Linda Thompson, Margaret Marshall, Pat Marshall. Photo courtesy of Marshall family. See note below. This photograph was taken in 1954 in the gardens behind the terrace houses which used to be above Halfway Petrol station.